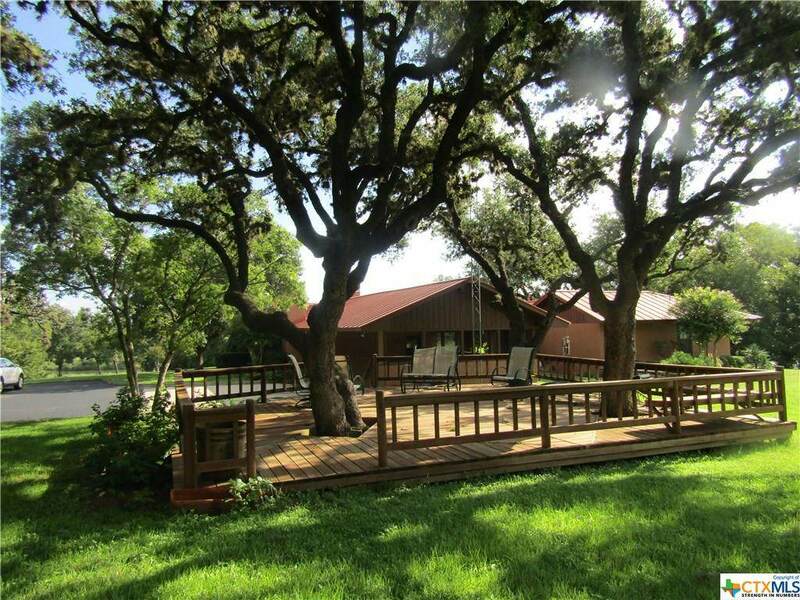 Hill Country elegance and a lot of Wow! 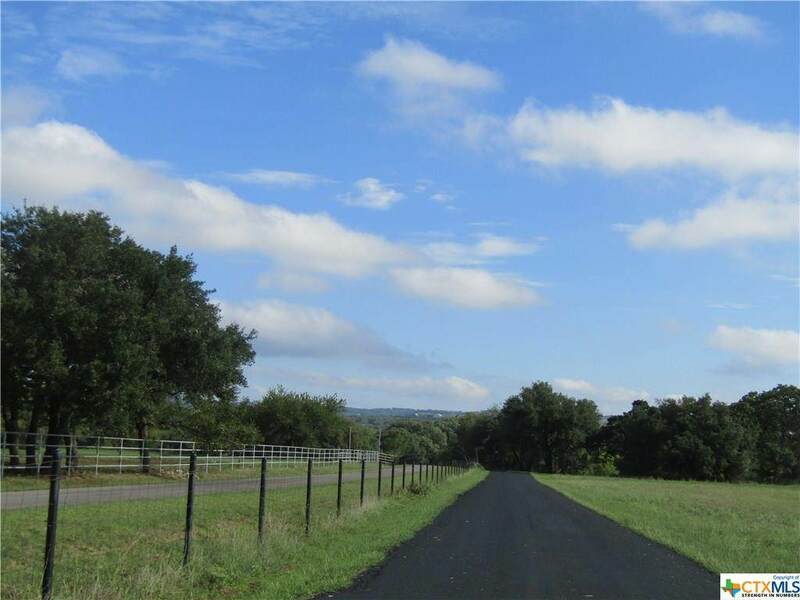 5 acres, not in City Limits, not in a Subdivision & wonderful view of the Blanco River. 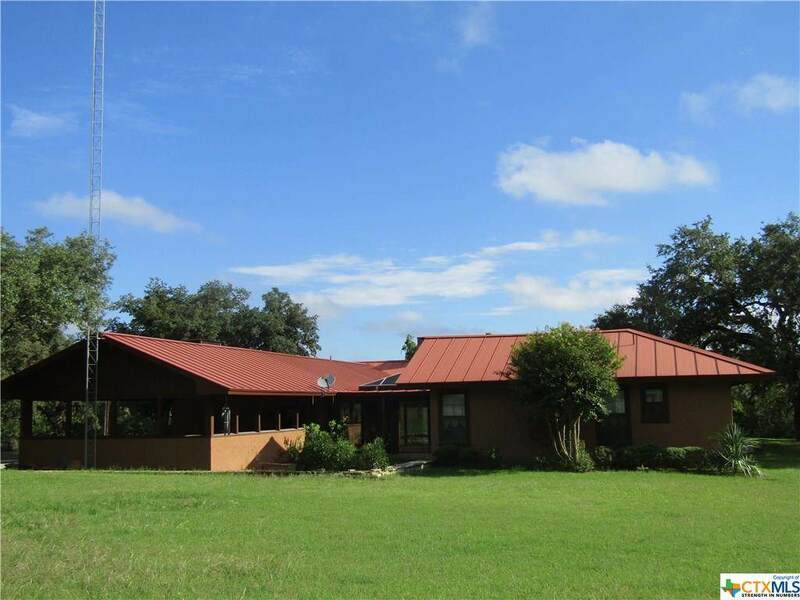 Surrounded by Large Live Oaks and Pecan Trees. Sit on the front porch or back patio watch the deer and turkey stroll through. Paved driveway, large barn/workshop/storage shed. Home is built horseshoe or Hacienda style around grand atrium. Perfect for plants and entertaining. Eat in kitchen is inviting w/bay window & beautiful stained-glass window, walk-in pantry is wonderful as is the large utility room; room for everything! Den complete with bar. Formal Living, bonus room and bedroom wing with Master Suite at the end of the hall. Lots more! Property does NOT go to the Blanco River. But View does! 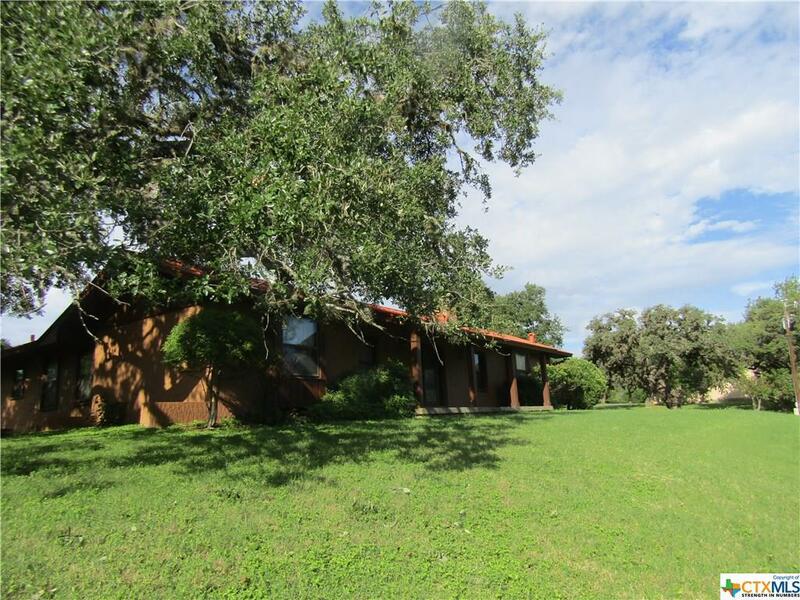 Listing courtesy of Candace (Candy) Cargill of Hill Country Real Estate.